Sometimes all an outfit needs is a little pick-me-up to transform your look from drab to fab. That slight, fashionable void can easily be nullified by a pair of spunky Fendi frames by Marchon Eyewear. 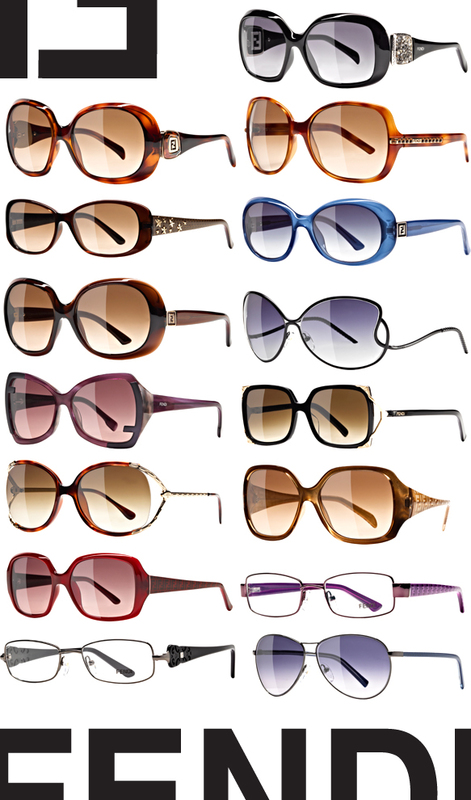 Fendi’s spring 2011 collection is filled to the brim with high fashion designs and delicious colors. With 14 new stylin’ shades and two new optical frames, variety is the name of the game. Indulgent shapes consisting of oval, square, butterfly and a couple avant-garde, angular frames give you versatility and can instantly add a dramatic flair to any outfit. Dainty details is what sets this collection from the rest—floating, colored and gradient lenses, blinged out temples, cutouts, sly logo placements and yummy colorations make choosing just one pair of frames borderline impossible. Feel free to take your time lusting over these mesmerizing frames.